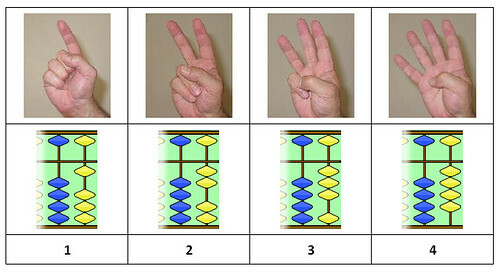 Learn Finger Maths & The Soroban Abacus Method. I hated maths at school and wasn’t very good at it – until I came across the soroban abacus and finger maths. Maths now I find enjoyable and a relaxing pass time. Now how to count to 99… on your two hands. Once you do… you will understood Soroban and why it works! The four beads stand for the four fingers on your hand, and the separate bead for the thumb. 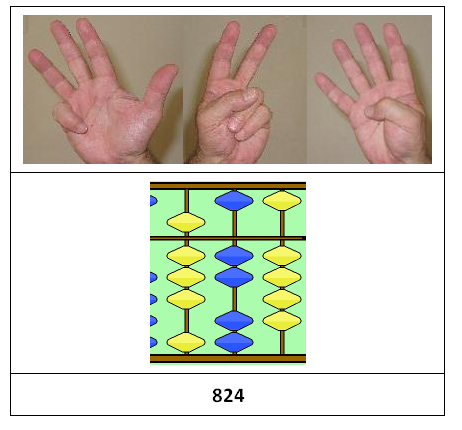 Here are screenshots of a hand and the online Soroban abacus. It works the best if you count along. Use the four fingers of your right hand to count 1, 2, 3, 4. This corresponds to the four beads in the first row of Soroban, shown as yellow. 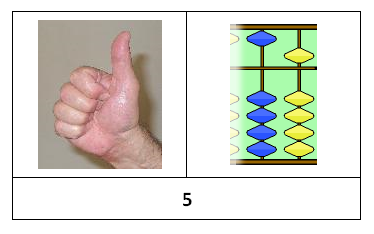 The thumb stands for 5, all by itself, just like the lonely yellow bead does. You add fingers to the thumb to count 6, 7, 8, 9. 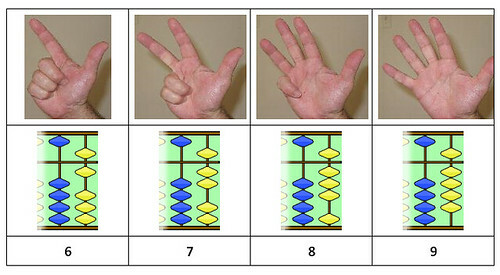 So 1 to 4 are you fingers and 1 thumb is 5 so on one hand you can count to 9. What happens when you arrive at 10? Simple… You get to use your other hand, which is now a new place value – and the new row of beads on the abacus. The digits, the beads, and the fingers all fit together like hand in glove. Here is another difference of this system from just counting your 10 fingers. You can count all the way to 99 on your two hands! And if you join forces with a friend, you can show even bigger numbers. Previous #DrawMuhammad Cartoons: My response via The Art of War.